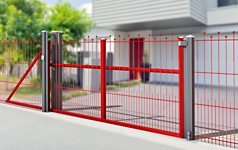 Sliding gates Stable, functional and low maintenance. A sliding gate is recommended for places where opening and closing fencing gate doors do not have enough room to swing, where the opening for the swinging gates is too large and where automatic actuation and securing with all safety precautions is sensible. 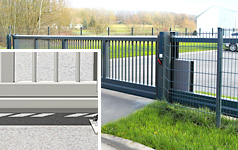 Unsurpassed quality, durability and extreme stability are distinguishing features of the LEGI NIRO sliding gate system. 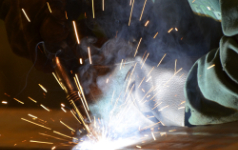 High grade raw materials, high-quality corrosion protection and quality-monitored production processes guarantee maximum stability, reliability and durability for your individually produced LEGI sliding gate. NIRO-P for your home. Security, convenience and functionality form an ideal unit here. 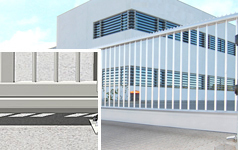 Self-supporting sliding gates get along without a guide rail on the ground. The ground covering or the pavement remain without rises in the drive.